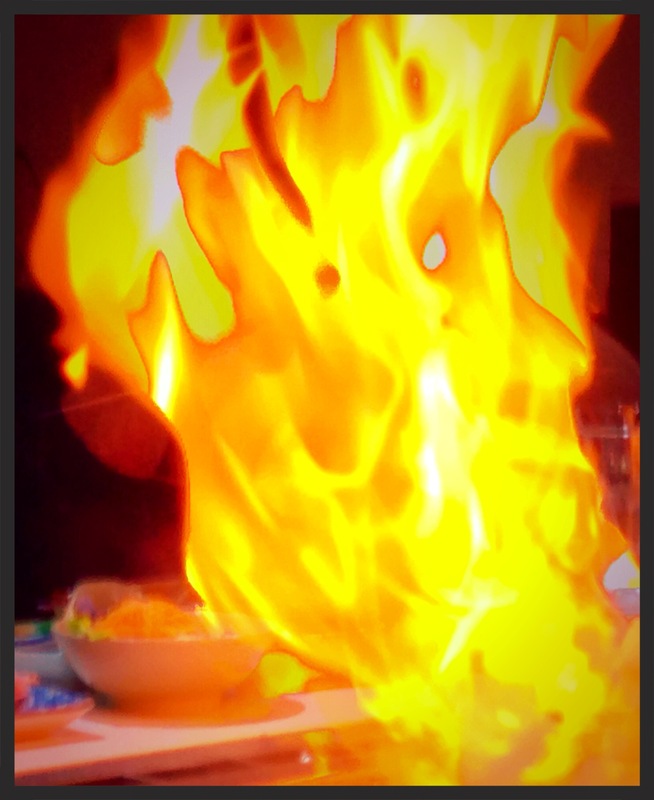 Fire – FOOD IS LIFE! Karina’s ‘Hot’ Safety Cooking Tip! Keep a fire extinguisher near the kitchen, but away from the stove and other heat sources. Fire extinguishers should be maintained in a serviceable condition. If the marker is in the red position, it is not in a good operational condition. If the marker is in the green position, it is in good operational condition. Please note, the correct type of Fire Extinguisher must be purchased dependant on the type of kitchen appliance (or other machine/equipment) you are using. 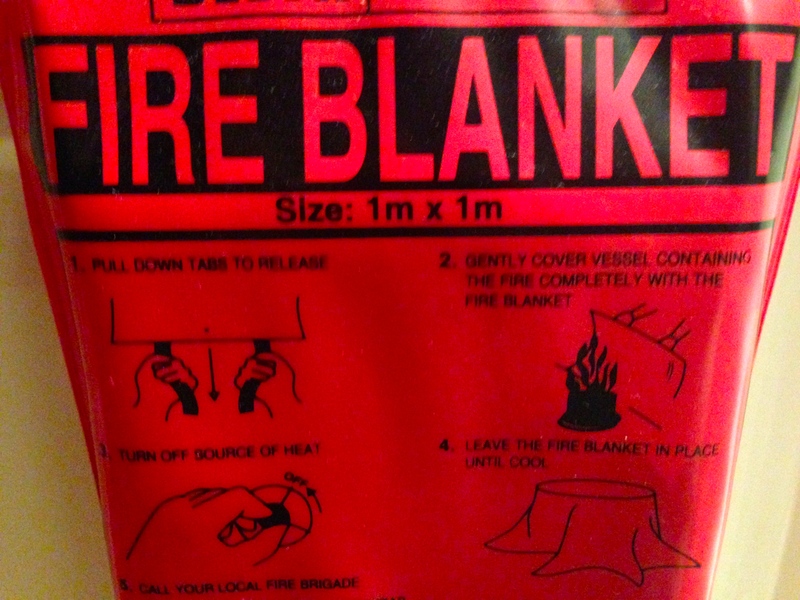 Keep a Fire Blanket near the kitchen, but away from any heat sources. Keep a chart of all your Emergency Contacts, such as: Fire, Medical, Police, the Poisons Information Centre and all other Emergency Contacts. – If the fire gets out of control, don’t try to save the day. Evacuate IMMEDIATELY and call Emergency! – Turn your stove, oven or other heat source completely off. After your heat source has been turned off, do not touch or move the pot, pan or other cooking instrument/appliance. – If you cover your pot, pan or cooking instrument/appliance with a metal lid, it will choke the fire and deplete it of oxygen, which is what you want, since fires love oxygen and you hate fires! There are countless other safety cooking tips I can offer, however, I’ll have to nibble at these bit by bit!